The name "England" is derived from the Old English word Englaland, which means "land of the Angles". The Angles were one of the Germanic tribes that settled in England during the Early Middle Ages. England is a country in the United Kingdom. It shares its borders with Scotland to the north and Wales to the west; the Irish Sea is to the north west, the Celtic Sea to the south west and the North Sea to the east. The English Channel to the south separates it from continental Europe. Most of England comprisesto include, to consist of the central and southern part of Great Britain in the North Atlantic. The country also includes over 100 smaller islands such as the Isles of Scilly and the Isle of Wight. The city of London is England's capital and its largest city. London is also the largest metropolitanof large urban settlement area in the United Kingdom and by most measures the largest urban zone in the European Union. In July 2007 London had an official population of 7,556,900 within the boundaries of Greater London, making it the most populous municipalitya district with a government that typically encloses no other governed districts, a borough in the European Union. Due to England's dominant position within the United Kingdom and its larger population, English culture is often difficult to differentiate from the rest of the cultures of the United Kingdom. With over 51 million inhabitants, England is the most populoushaving more people, as a relative comparison of regions; having a large population country in the United Kingdom, accounting for 84% of the combined total. With a densitya measure of how many people live in a certain area of 395 people per square kilometre, it is the second most densely populated country in the European Union after Malta. The English are a British people – genetic evidence suggests that 75–95% descendto come down, as from a source, to be derived, to proceed by generation in the paternal line from prehistoric settlers who originally came from the Iberian Peninsulaa piece of land projecting into water from a larger land mass. There is a significant Norse element, as well as a 5% contribution from Angles and Saxons. English people traditionally speak the English language, a member of the West Germanic language family. The modern English language evolvedto develop from Old English, with lexical influence from Norman-French, Latin, and Old Norse. Cornish, a Celtic language originating in Cornwall, is currently spoken by about 3,500 people. 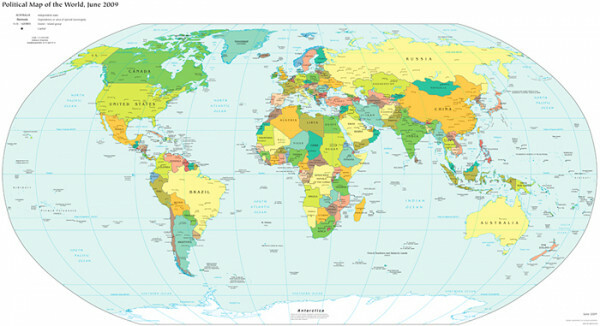 Because of the 19th century geopolitical dominance of the British Empire and the post-World War II hegemonydomination, influence, or authority over another of the United States, English has become the international language of business, science, communications, aviationthe art or science of flying, and diplomacy. Christianity is the most widely practised religion in England. Today about 71.6% of English people identify themselves as Christians. The largest form practised in the present day is Anglicanism, dating from the 16th century Reformation period. The religion regards itself as both Catholic and Reformed. Since the 1950s, Eastern religions have began to appear due to foreign immigrationthe passing or coming into a country for the purpose of permanent residence; Islam is the most common of these accounting for around 3.1% in England. Hinduism, Sikhism and Buddhism are next in line totalling 2% combined. Around 14.6% claimto state to have no religion. As part of the United Kingdom, the basic political system in England is a constitutional monarchya monarchy in which the monarch's power is legally limited and parliamentary system. There has not been a Government of England since 1707. At this time, the Acts of Union joined England and Scotland to form the Kingdom of Great Britain. Before the union England was ruled by its monarch and the Parliament of England. Today England is governedto make and administer the public policy and affairs of a country directly by the Parliament of the United Kingdom. In the House of Commons, which is the lower house of the British Parliament based at the Palace of Westminster, there are 532 Members of Parliament (MPs) in England, out of the 650 total. They represent their constituenciesa district represented by one or more elected officials. England's economy is one of the largest in in the world, with an average GDPGross Domestic Product per capita of £22,907. England is a leader in the chemical and pharmaceutical sectors and in key technical industries, particularly aerospace, the arms industry, and the manufacturing side of the software industry. London, home to the London Stock Exchange, is England's financial centre. Tourism has become a significant industry, attracting millions of visitors to England each year. The export part of the economy is dominated by pharmaceuticals, automobiles, crudebeing in a natural state oil and petroleum, aircraft engines and alcoholic beverages. Agriculture is intensive and highly mechanised.